This photo was made in the Matanuska Valley near Palmer, Alaska. 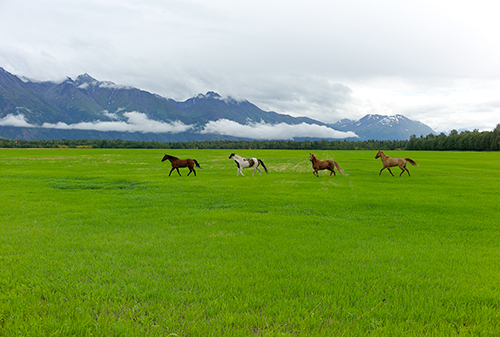 The overcast sky helped to provide vibrant greens in the foreground and these beautiful horses pop right off the print. I made this image with a Leica M9 camera and Leica 35mm f1.4 ASPH lens.